In Iowa, a “Maid-Rite” is not only a chain of restaurants, but what locals know as a loose-meat sandwich. Growing up in the south, we called these types of sandwiches “Sloppy Joe’s” but there are some variations between the two. 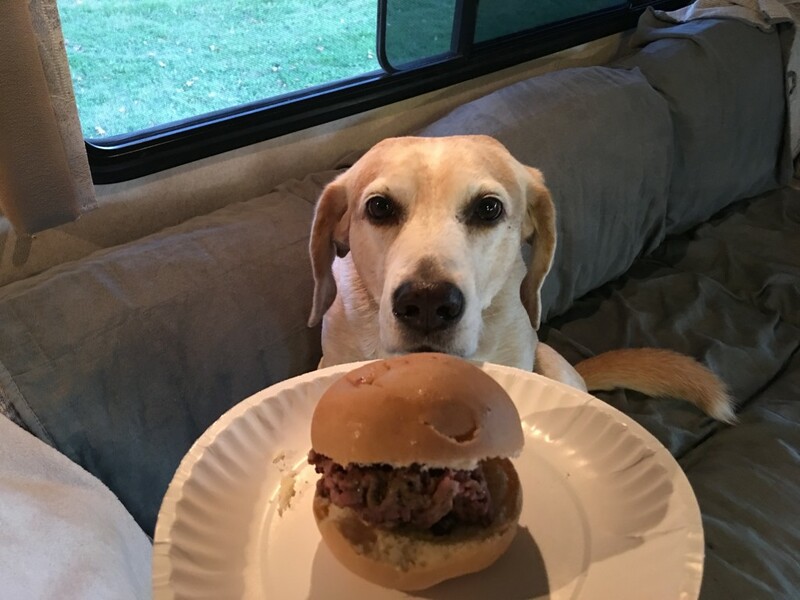 This sandwich for persons is usually served with onions, mustard and pickles, but of course you need to leave all of that off for your dog. Enjoy this dog-friendly version and be transported to Iowa! 2 Gluten-Free Hamburger Buns or make your own! Take cooked meat and combine with cooked bell peppers. Scoop on hamburger buns and serve! It is that easy!